THE 24-YEAR-OLD Fremantle fan who allegedly hit a woman in the throat after being asked to tone down his language at Domain Stadium on Friday night has appeared before court. Cody Yarran has been charged with several offences including assault and appeared at Perth Magistrates Court on Saturday, a day after the incident at the Fremantle-Hawthorn clash. 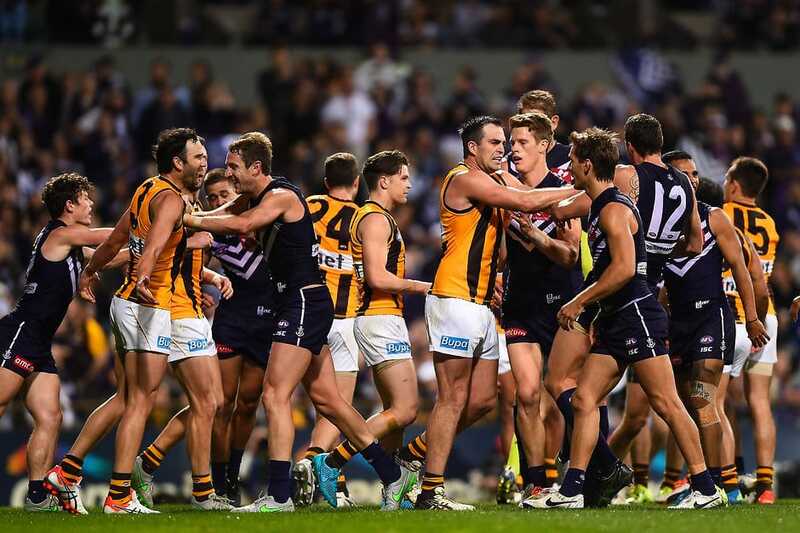 The woman he allegedly assaulted, who is using the alias Sarah, told Southern Cross Austereo she was enjoying the game with her family - all Hawthorn fans sitting among Fremantle supporters - when a rowdy man began swearing and challenging spectators to a fight. The woman said she told him to "just take a seat, watch the rest of the game, you are really scaring my kids". Sarah says the man said he did not "give a f--k about her children" before hitting her throat with the webbing between his thumb and index finger. Sarah said her children were shaken and her eight-year-old stepdaughter will never attend an AFL match again, despite Friday's game being the first she had been to. Domain Stadium announced on Saturday it had banned the man for life. The incident came a day after Prime Minister Malcolm Turnbull labelled violence against women as "un-Australian" during the launch of a $100 million domestic violence package. AFL chief executive Gillon McLachlan said the violence was unacceptable. "Our supporters need to feel safe," Mr McLachlan said on Saturday. "Children need to feel safe. Women need to feel safe at the football. That behaviour cannot be tolerated in any form." Outside Perth Magistrates Court, Yarran's sister denied he hit the woman. "He pushed her away simply, 'Get out of the way,'" she told media, saying her brother had been attacked by the mob and left with injuries all over his face. Yarran will appear in court again on October 5.